GripClad GRP gratings replaced metal gratings that were prone to being slippery, rusty and stolen. This water treatment works now has a safe grating that will never rust and no longer present a slipping hazard. Everyday waterworks supply million of litres of drinking water from water treatment works along with thousands of kilometres of water mains to their customers’ taps. 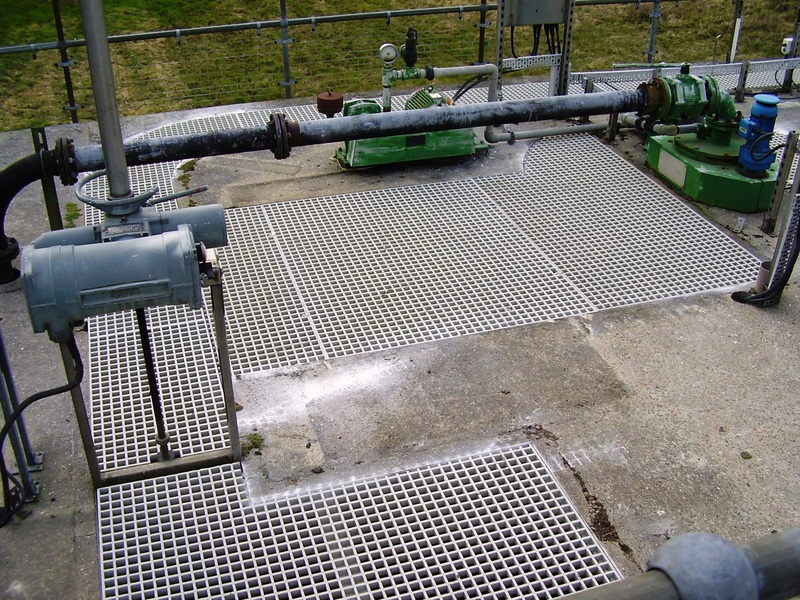 Their hardworking water treatment facilities use floor and foot gratings on their gantries, platforms and access areas to ensure the safety of their employees around the sites. After a series of thefts of the waterworks' metal grating, ply boards were used to hide the metal grating. Not ideal as it just made heavy work for the maintenance engineers. The solution was the complete removal of metal grating, planks and boards and a 100% replacement with GRP grating panels. These were all cut in-situ to fit the various channels and trenches. All panels are manufactured with a high quality UV Inhibitor to prevent UV Degradation. They looked like metal and didn't alter the look of the plant. The main achievement here is that it eradicated the need for ply and metal grating, and of course, deterred scrap metal thieves! and so does GRP Grating!